Have you been growled at lately? Are there some grumpy ole bears in your midst? Or maybe, you shed an Elm layer, let go of some responsibilities http://pixiedusthealing.blogspot.ca/2012/09/elm-for-overwhelmed-by-september.html and discovered your own inner bear? Harmer writes that in Native American tradition, Brown Bear symbolizes great vision and spiritual power. The Brown Bear is very grounded and material and yet it is reflected in the constellations as well. 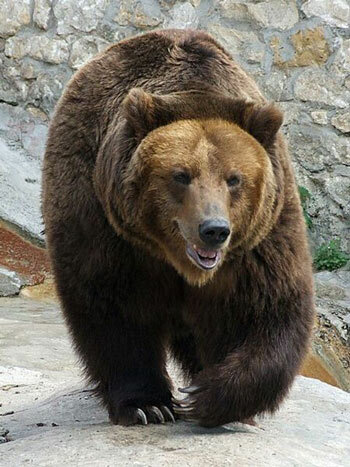 Brown Bears are not actually aggressive, but they are loners. I think all loners, if intruded upon just a bit too much, can turn a bit aggressive in their effort to maintain personal space. Steven Farmer, in "Animal Spirit Guides", suggests that the appearance of a bear can be a sign to take some time out from your usual routine to spend time alone. He writes that the bear message may be to find the answers you're seeking from withing rather than consulting others. It's a reminder to trust your instincts. Harmer writes that Brown Bear types are practical, grounded, methodical and stable. They have a tender and attentive nature and like to find solutions to every situation. They can be relied on to get things done. But, Brown Bear energy if taken to extreme can turn into shyness, pessimism, and a tendency to become hypercritical especially if they get bogged down in the details. Brown Bear's like to control events and they aren't that receptive to change. They like a well-organized, familiar environment. So perhaps, if we've been ignoring that Brown Bear energy, as we get close to it's passing it presents itself in the extreme. Most opportunities for growth, if ignored, get more extreme it seems. Perhaps that's true of nature's energy as well. In my part of the world it's been pretty easy to ignore the coming of fall and winter preparations. We had had unseasonably warm temperatures, we haven't had to remove the outdoor stuff in preparation for hurricanes even. We can still enjoy the lazy days of summer and pretend we are not quite entering fall. And yet... maybe nature isn't appreciating our ignorance. Perhaps it's really time to spend some time in your cave, or at least figure out where your cave will be for the upcoming season! Time to carve out a bit of introspection time. Maybe if we put some thought to the harvest and what we have gathered, we won't feel so overwhelmed or sad about it's passing. Maybe we'll realize that change is good. I think it might be easy to slip from the sociable summer season right into the deep of winter without really paying attention to the bears in between. Perhaps all that summer entertaining followed by the rush of new back- to -school and work activities hasn't left you any time to just "be". Maybe you're starting to accumulate a bit of energy overload from all those people around you. Harmer links the Brown Bear to the color purple. Brown Bear energy has that psychically attuned, 6th Chakra connection. 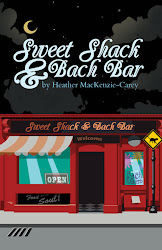 In Sweet Shack and Bach Bar, http://www.brylerpublications.com/books/fiction/sweet-shack-and-bach-bar Violet suffered from this type of energy overload and Merlin gave her a copy of "The Violet Flame". http://pixiedusthealing.blogspot.ca/2010/09/violet-flame.htmlThis mantra can help clear some of that excess "stuff" that isn't yours and might be dragging you down. Once it's cleared, you still need to spend some time in your cave though. It's all about finding your inner self and then listening to it. Sometimes it's the listening that's the difficult part. Wise Woman gave Violet some of the Bach Flower Walnut. 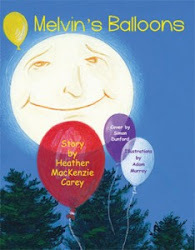 It can be helpful in the transition between seasons. A few drops of Cerato might help you listen to your inner knowing too. We are all drawn to Bear Energy. Who doesn't enjoy the feeling of cuddling one of those soft brown stuffties. We don't really seem to fear the growl of the bear as much as we are drawn to the gentle cuddly nature of these creatures. We must understand that energy when we create the toys and stuffed animals. Maybe we're just trying to connect with ourselves. Maybe we want to cuddle with ourselves and our inner being. A quick cuddle, a a sense of personal recognition, some separation between self and others and you're "good to go" again. Everyone just needs a few minutes alone in the cave. Fall Equinox: Moment of Balance?